Brand new for 2018 is the Avenger. With the growing popularity and positive feedback of the Matrix, we decided to build it in our durable Composilite construction. The Avenger will take your riding to the next level. This board is truly an all around performer for skim style riding. Featuring a symetricial outline, the Avenger is designed to perform riding both directions. If you are a beginner or intermediate rider looking to one day ride like the pros, the Avenger will be your weapon of choice! Every board comes in a variety of colors. 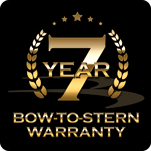 48" × 20" × .65"
51" × 20.25" × .75"
Bennington’s Best Warranty In The Industry! Customer Service To A Whole New Level!